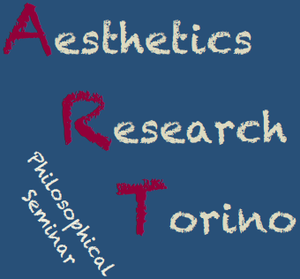 The next lecture of ART (Aesthetics Research Torino) Philosophical Seminar will be delivered by Prof. Nicola Perullo on February 19th at 2 p.m.
As it is often noted, touch is quite a neglected sense in the traditional modern Western thought in favor of sight. This marginalization has reasons of different philosophical kind (for sure, epistemological, ethical and aesthetic ones). Nowadays, the deconstruction and the discomfort for some closures of the modern Western philosophy go with a new appreciation of touch (as well as of the other so called “neglected senses”, smell and taste). Some philosophers have been dealt with touch and proximity from different perspectives (in recent times: Bergson, Merleau-Ponty, Deleuze, Derrida, Nancy, Irigaray, Jullien); but of course, there are many others (the tradition has a very long story, back to Democritus, Epicurus and Lucretius), as well as psychologists (Révész, Gibson) and art historians (Alois Riegl and Bernard Berenson). In this lecture, I will briefly present the above framework, and then I will move toward a closer understanding of touch introducing the notion of haptic. The shift from touch to haptic is motivated by some specific reasons I will declare. Anyway, the haptic can be intended in a stricter, technical sense or in a broader one. I will propose here the latter one, drawing a distinction between an optic perception and a haptic perception in general terms. The “haptic perception” is a good metaphor, I believe, for a better understanding of some crucial needs of our present time, exemplified by terms like ecology, experience, intimacy, care, attention and authenticity. My proposal is that haptic perception is a good way to restore a connection between philosophy and life, looking back again to the ancient vocation of philosophy as school of life and as wisdom. I will be elaborated this proposal through some examples and with the help of some recent sources taken from different fields (Korsmeyer, Saito, Jullien but also Tim Ingold, Giuliana Bruno). NICOLA PERULLO (1970) is Full Professor of Aesthetics at the University of Gastronomic Sciences (Pollenzo, CN) and Director of the PhD Program “Ecogastronomy, Education and Society” as well as of the Master of Gastronomy: Creativity, Ecology and Education. He has undertaken long term research on the relationships between philosophy, aesthetics, food, and wine. This blend of formal education and hands-on experience gave rise to a new field of study in Italy that has been called “aesthetics of taste,” and further contributed to defining the subject of philosophy and food on an international level. Beginning from his early publications (“Per un’estetica del cibo”, 2006, “L’altro gusto”, 2008, “Filosofia della gastronomia laica”, 2010), his work continued to deepen the connections between aesthetics, gastronomy, and taste (“Il gusto come esperienza”, 2012) and between food and art (“La cucina è arte? Filosofia della passione culinaria”, 2013). In recent years, wine has been selected as the primary medium to accompany this journey towards an integrated ecology of life that allows one to consider, on one hand, the creativity of perception and therefore the fundamentally imaginative nature of knowledge, and on the other, existence and essence as relationship nodes (meshwork). (Epistenologia. Il vino e la creatività del tatto, 2016; Ecologia della vita come corrispondenza, 2017; Il gusto non è un senso ma un compito, 2018). The neologism “epistenology” has been coined to indicate, on one hand, the idea of knowledge not about wine, but with wine, and on the other, and more generally speaking, the prospect of a constant interconnectedness between ontology, epistemology, and aesthetics.